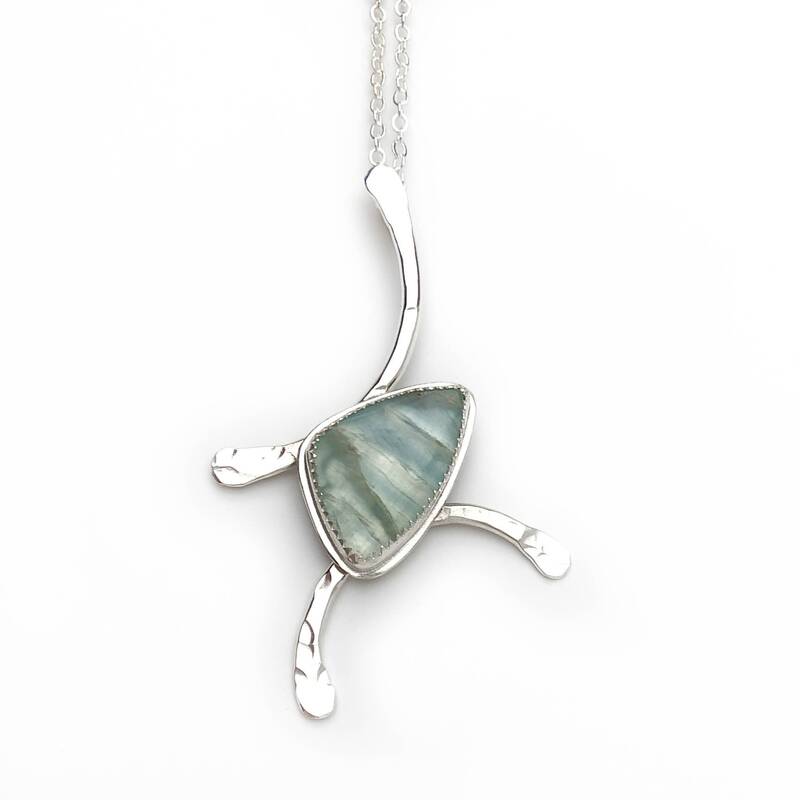 * The pendant measures 2.4" long and 1.5" across. 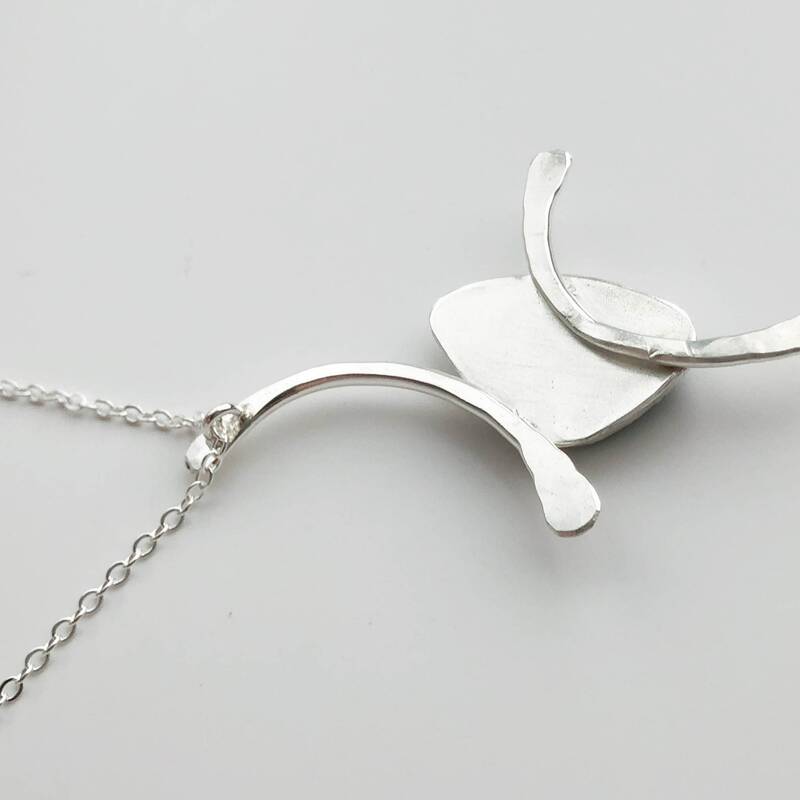 * The sterling silver chain is adjustable from 18"-20" with a lobster claw clasp and built in 2" extender chain. 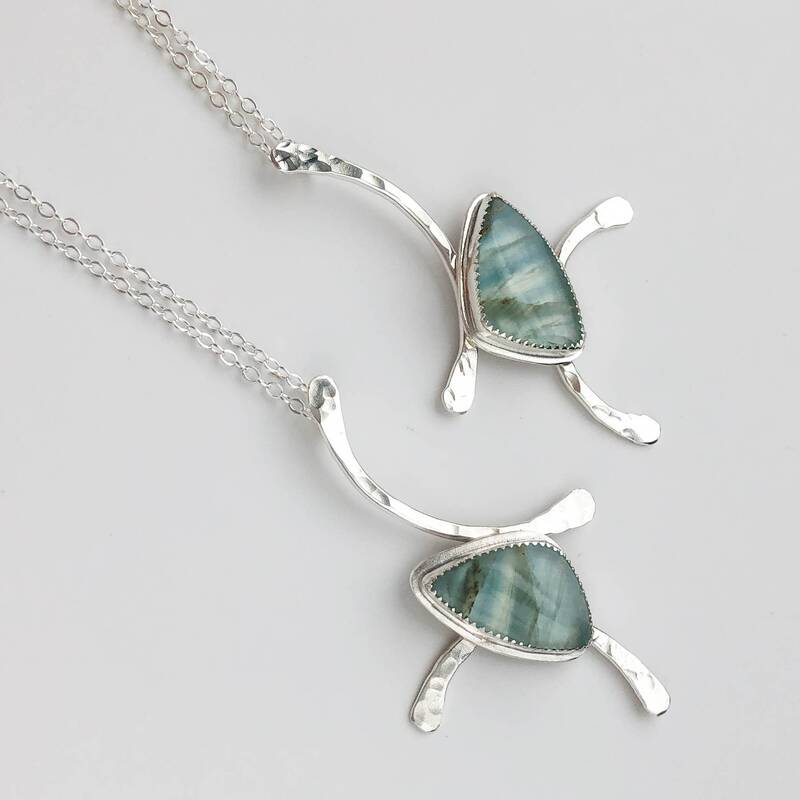 * Listing is for one pendant, there are two available as shown. 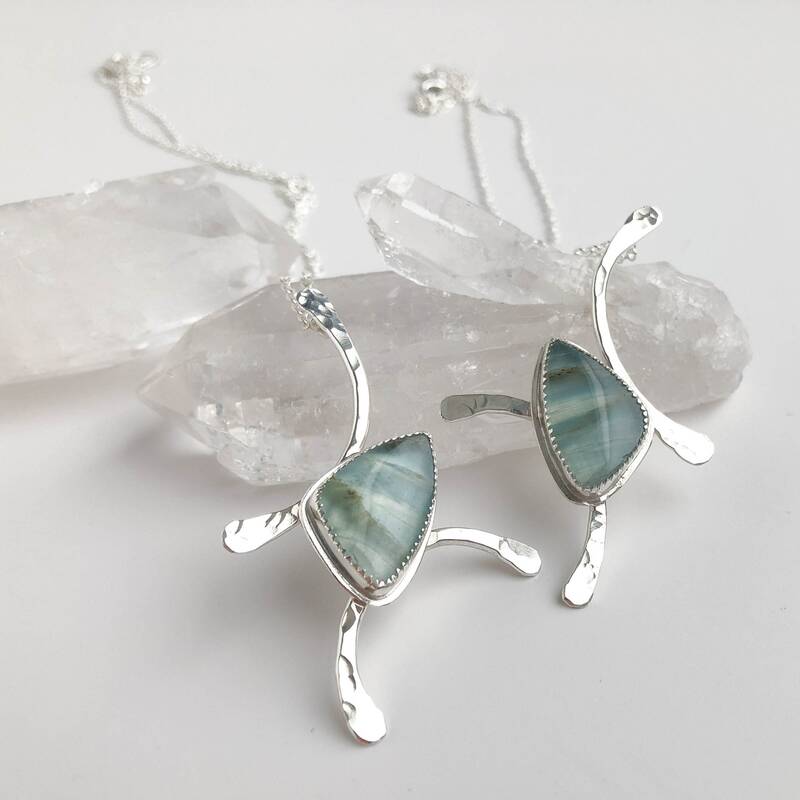 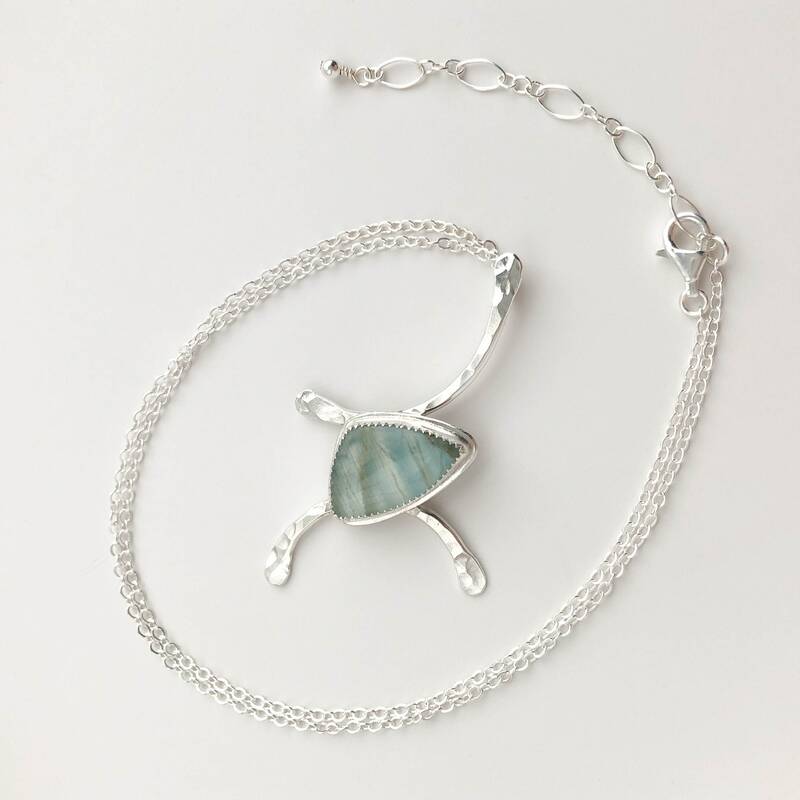 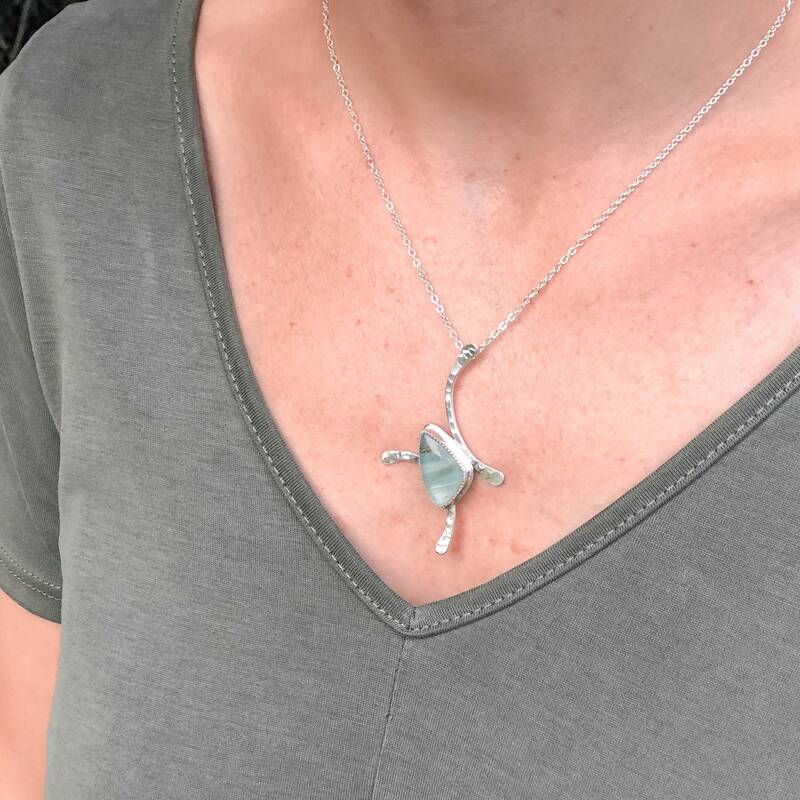 This unique pendant necklace was handmade with beautifully patterned blue calcite gemstones and solid sterling silver. 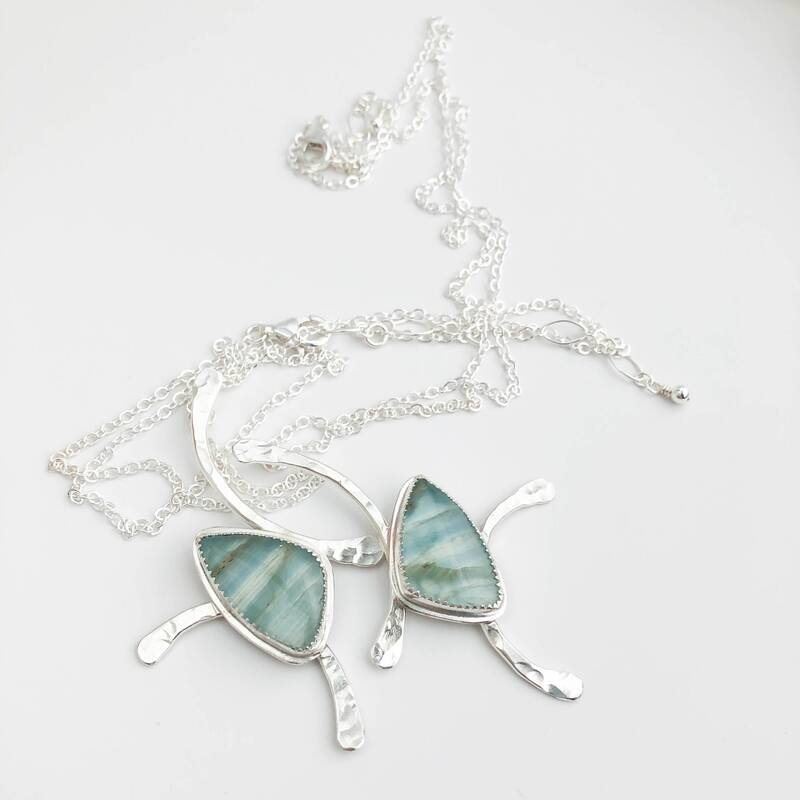 I created a mirror image pair of these necklaces and there are two available, you will receive one of the two shown. 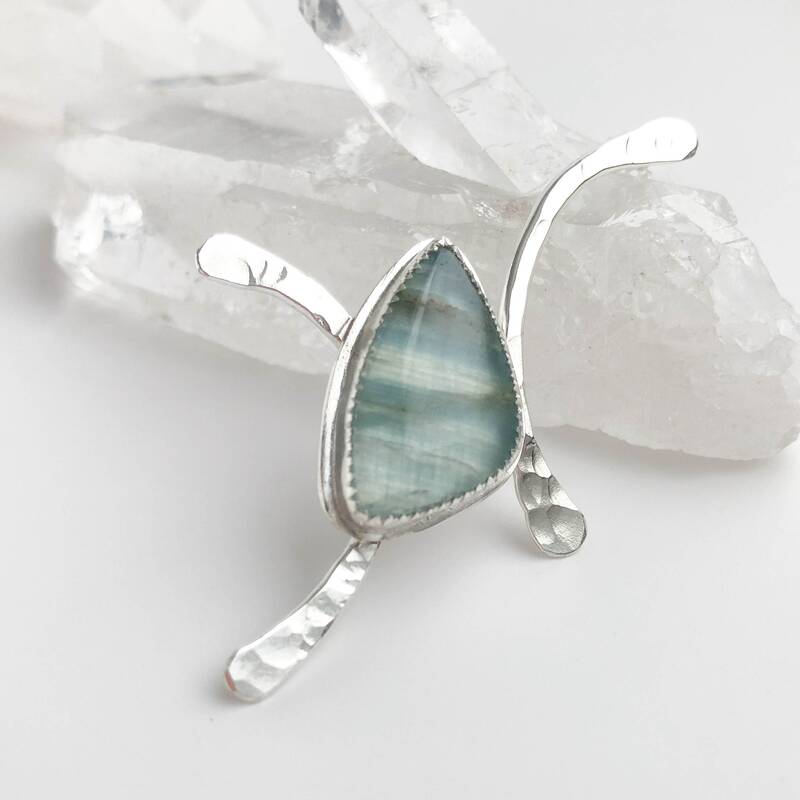 I made custom bezel settings for the triangle shaped stones and sat them on top of heavy silver wire that I forged and hammer textured to play off the geometric shape of the stones. 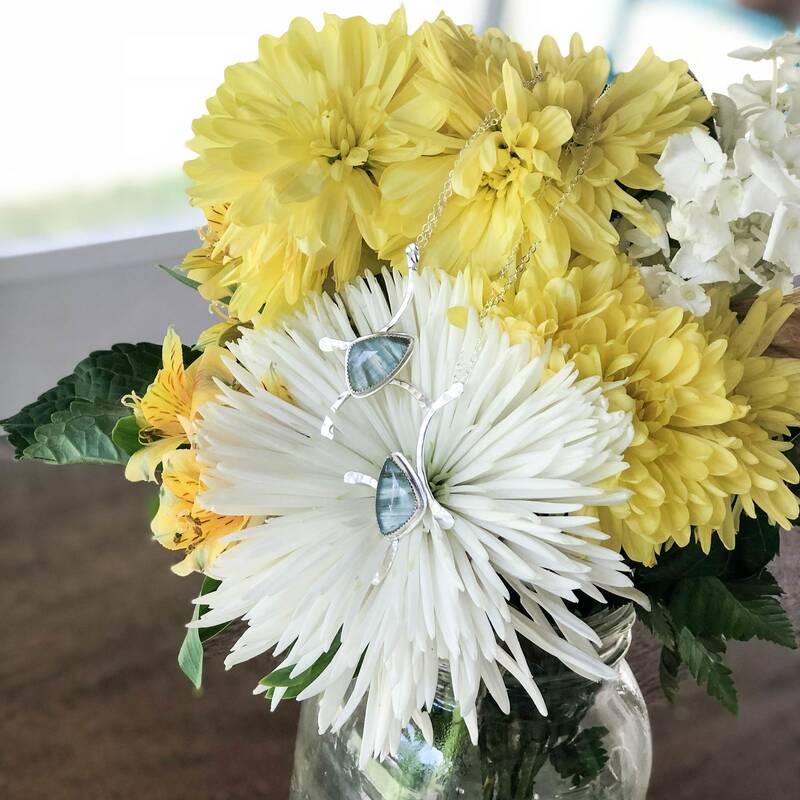 These are polished to a high shine to catch the light just right and accent the soft hammer texture of the metal. 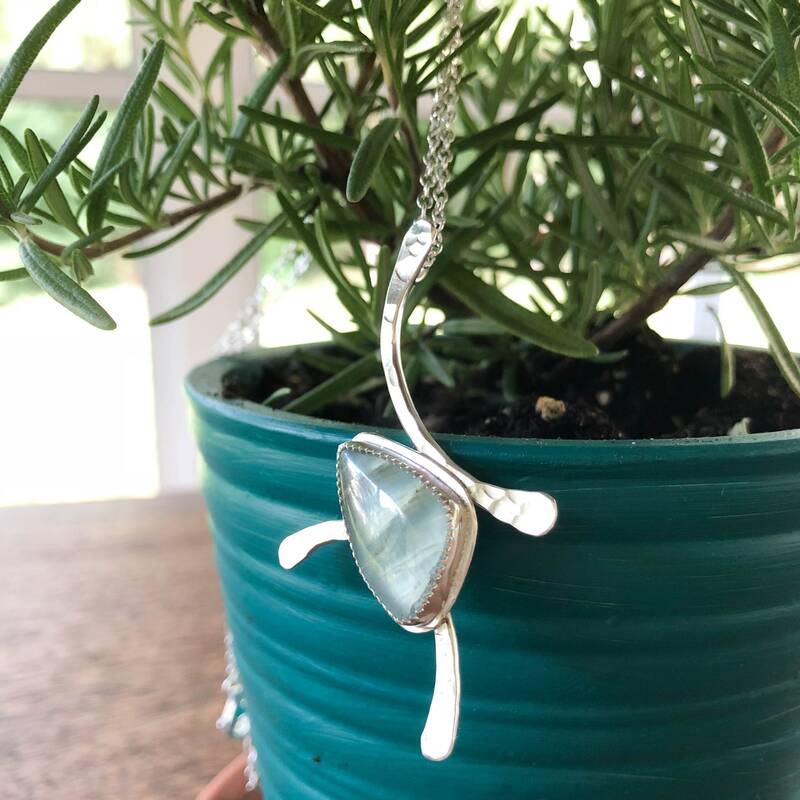 Beautiful stone-love the design and the silver work is amazing-another favorite of mine from Roxann and Paul-thank you ever so much.